We are having so much fun trying out new easy recipes using fresh produce. This week in my produce delivery I had two bags of rainbow carrots. Have you ever had rainbow carrots before? They really are gorgeous. Purple, yellow, white and of course orange. 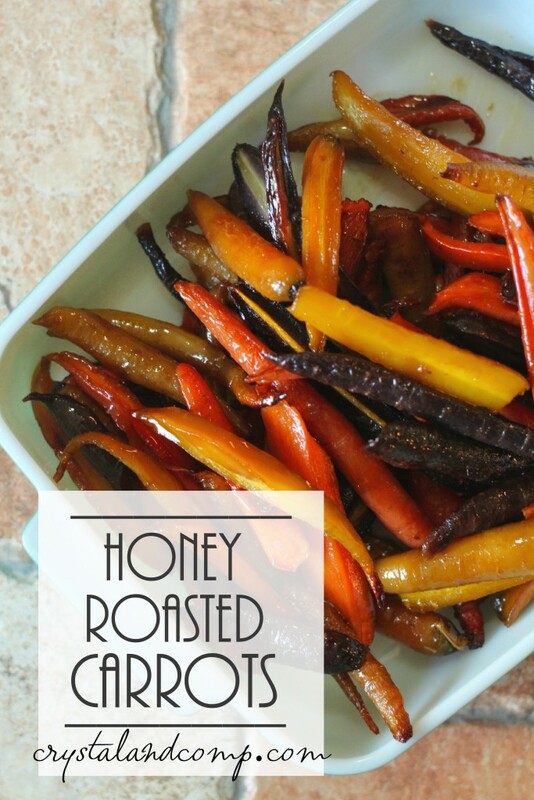 Let me show you how easy it is to make honey roasted carrots. These are sweet and caramelized. We devoured them! I made these in the oven, but you could make them in the casserole slow cooker and just adjust the cooking time. Clean you carrots and cut the tops off if the greens are still attached. Grab a rimmed baking sheet. I like to cover it in a sheet of parchment paper to make cleanup easier. Slice the carrots into strips of thirds. Evenly lay them out on the cookie sheet. 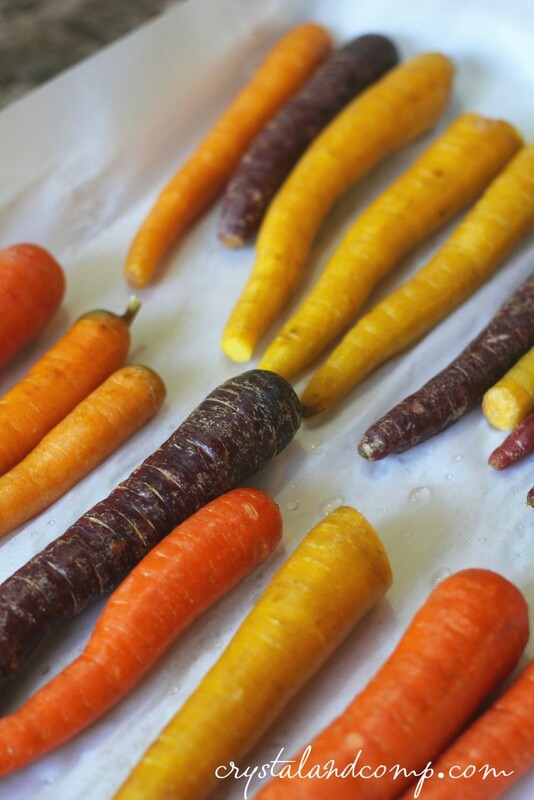 Sprinkle the carrots with salt, according to how much salt you like. Mix together the olive oil, honey and orange oil. 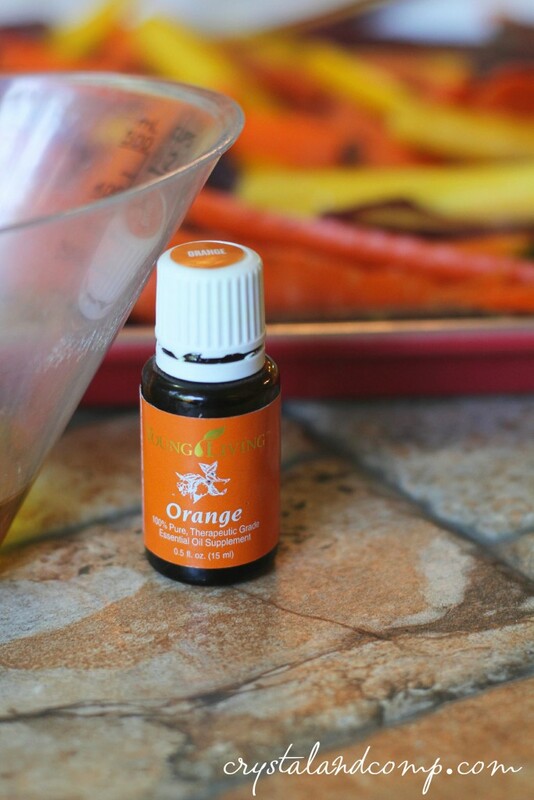 If you don’t have orange essential oil, you can use a fair amount of orange zest. Drizzle the oil and honey mixture evenly over the carrots. Pop the sheet in an oven at 350° for 45 minutes to one hour, or until the carrots are tender. 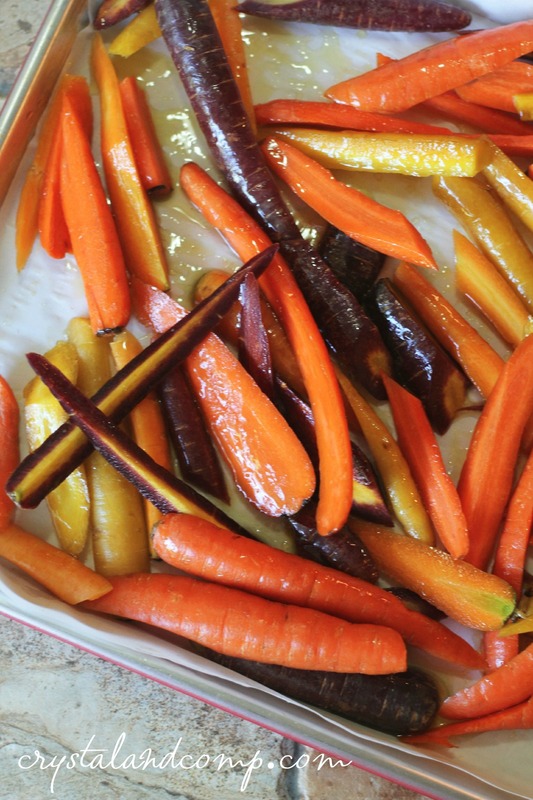 The honey and oil will caramelize as the carrots cook. Such amazing flavor! Remove them from the oven and serve them hot. 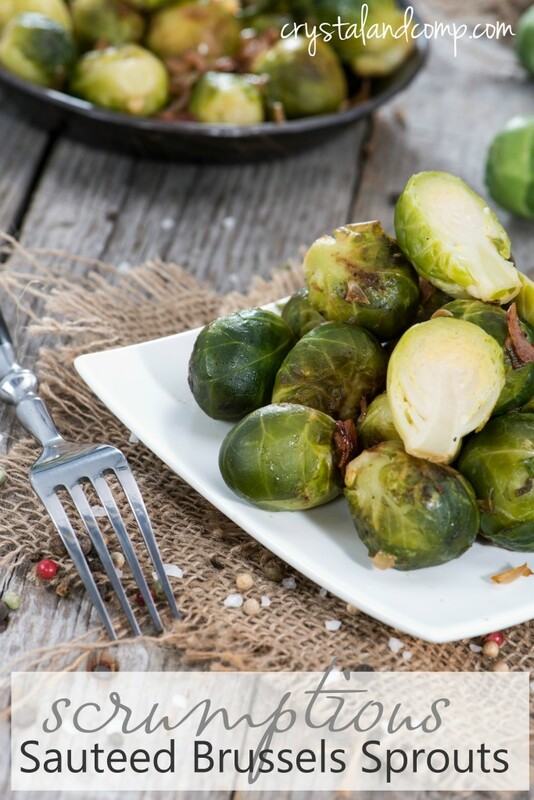 We served these with grilled chicken breasts, cabbage and fresh fruit. 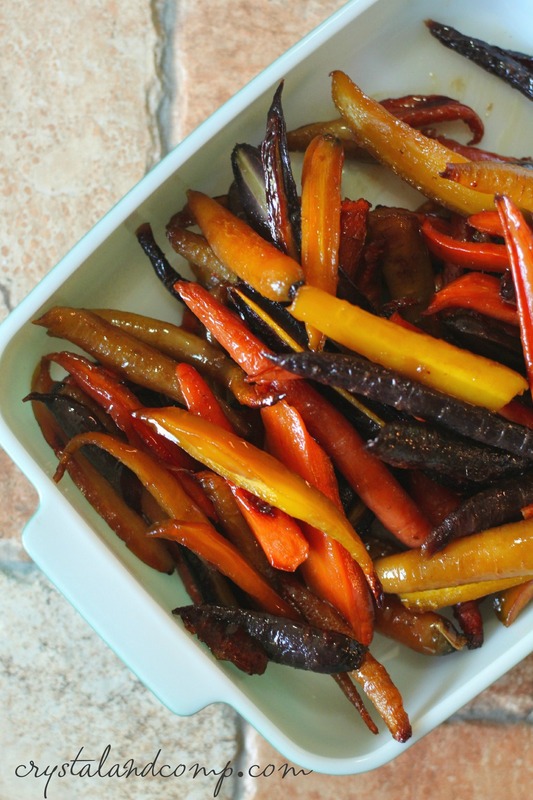 What is your favorite way to cook carrots? Hope you have a wonderful Fourth! Yum! This looks delicious! I love honey and carrots! Thanks for sharing such a yummy looking recipe with us at the Merry Monday link party. Hope you’ll join us again next week! Sharing your post on Twitter! 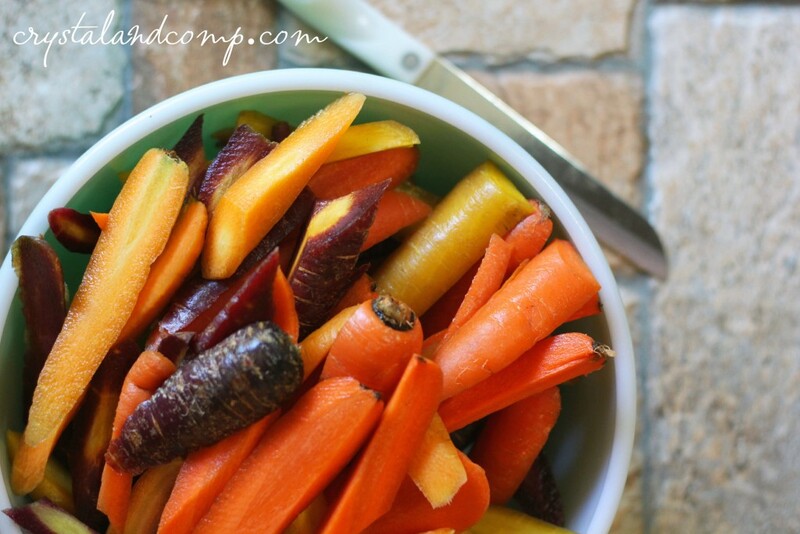 If you love carrots, you will love this recipe! Thanks for tweeting!